Presenting 32 Kennion Street, Mitchelton. Positioned high in popular Kennion Street, this brand new home showcases contemporary features, quality fixtures and fittings throughout and is just the perfect residence for anyone seeking a stylish, low-maintenance lifestyle. Inside you will discover a cleverly designed floor plan that delivers multiple living areas, along with space and privacy. Downstairs offers an open plan kitchen, dining and lounge area flowing out to a covered outdoor entertaining area - perfect for those long barbeques with friends. The designer kitchen is a delight with stainless steel appliances, gas cooktop and Ceasarstone benches. 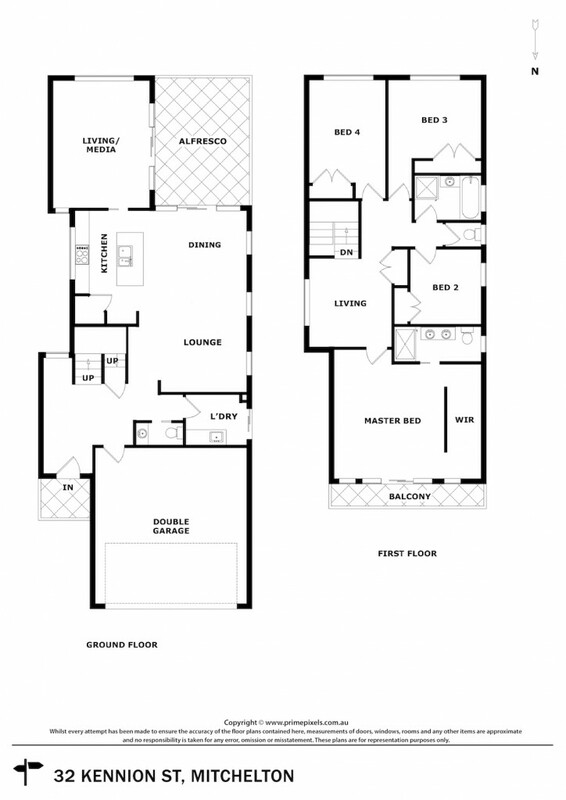 Also featuring downstairs is a further spacious living area at the rear - ideal also as a media room or kids retreat. High ceilings and contemporary porcelain tiles work perfectly to create a luxurious space that you will just love coming home to. Upstairs features a separate living space, as well as four well-proportioned bedrooms, all with built-ins, including a generous master bedroom retreat. The master bedroom is complete with sleek ensuite, walk-through robe and dedicated balcony - the perfect spot from which to sit and take in the sweeping district views. Offering stunning street appeal, number 32 is sure to be the dream package that you've been searching for! Located in thriving Mitchelton, just 9kms approximately from the City, and walking distance to Blackwood Street, schools and train - position is perfect.